We may only have to wait until August to get our first official glimpse of the iPhone 6s and 6s Plus, according to a new research note by well-connected Apple analyst Ming-Chi Kuo. Don’t get too excited though — even though Kuo thinks the iPhone will be unveiled a month earlier than usual, he says it will be released in its usual September slot. The respected KGI Securities analyst also sheds light on who is set to build the new iPhones, a few of the devices’ key features, and some details about the forthcoming 12.9-inch iPad. Check them out below. As per Kuo, Foxconn is expected to receive 60 percent to 70 percent of the new iPhone orders. The 4.7-inch iPhone 6s will reportedly account for two-thirds of orders, while the remaining third will be for the larger 5.5-inch iPhone 6s Plus. He also claims the 12.9-inch iPad Pro will be made exclusively by Foxconn. Despite falling iPad sales over the past few quarters, this could still mean big things if the long-rumored device turns around Apple’s flagging tablet business. 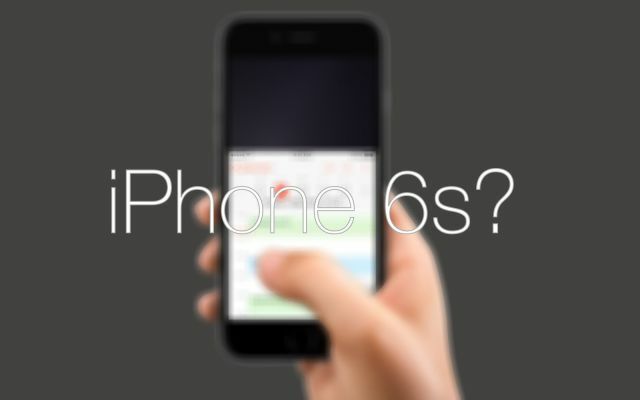 Last week, a report released by KGI Securities outlined other expected iPhone 6s innovations. In addition to Force Touch, the next iPhone is expected to include 2GB of RAM, an improved 12MP camera, a strengthened shell and improved Touch ID sensors. Personally, I’m excited as anything for the new iPhone 6s. Even though year after year of hearing about possible early iPhone unveilings means I’ll believe that particular rumor when I see it! This entry was posted in iRumors and tagged iPhone 6S, irumors, iRumorsnow, KGI Securities, Ming-Chi Kuo. Bookmark the permalink. Photos Reveal Secrets Behind Apple Watch Retail Display Units.